When U.S. President Barack Obama recently wept while talking about the senseless deaths of young children as a result of gun violence, some commentators accused him of faking his tears. Author A.J. Somerset joins other experts in examining why hysteria and hyperbole seem to go hand in hand with gun culture on CBC Radio's Ideas. 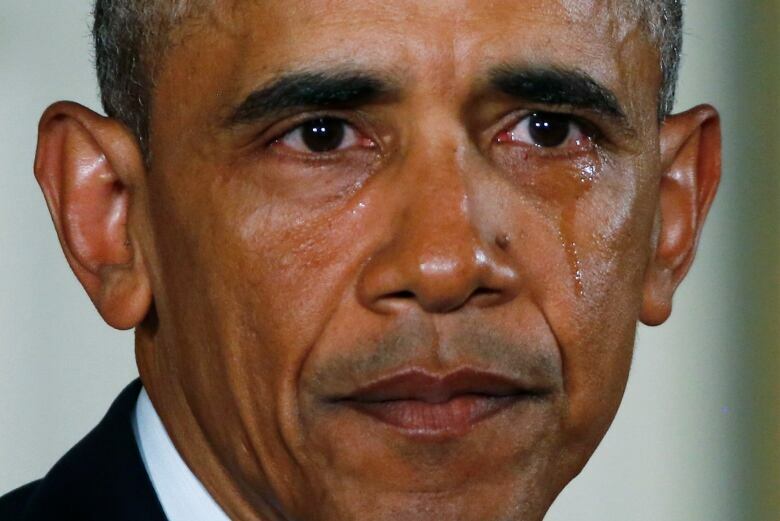 When U.S. President Barack Obama recently wept while talking about the senseless deaths of young children as a result of gun violence, some commentators accused him of faking his tears by using onions or muscle creams. What is it about a certain sector of gun culture, both in the U.S. and Canada, that seems to invite only hysteria and hyperbole. Canadian journalist, A.J. Somerset and two other experts recently set out to answer that question on CBC Radio's Ideas program. Somerset is a former reservist and an avid hunter and gun enthusiast who has published a book called Arms: the Culture and Credo of the Gun. Yet he says he can't understand what he sees as a wilful irrationality in gun culture. "I like guns. That's a difficult admission, as if confessing to some kind of perversion, though it ought not to be," he writes in his book "People like all kinds of things: cars, sailboats, acoustic guitars. Nobody has to justify liking these things, as I am continually asked to justify liking guns. "My reason is simple: shooting is fun. But people are likely to think you're weird for liking guns, which is why it's a difficult admission. In their eyes, you become one of those gun nuts. And although I like guns, I do not like gun nuts." The intransigence of gun lobby groups like the NRA when it comes to government efforts to impose gun control is relatively recent, Somerset said, and plenty of gun enthusiasts handle their guns responsibly. But it's when people fetishize the gun that trouble starts brewing. "At root, guns are power, and people want power," says Taiaiake Alfred, a Mohawk who heads the indigenous governance program at the University of Victoria and a lifelong hunter and ex-Marine. When guns went from being tools used by people who had an integral relationship with the land to weapons used by urban dwellers, the "nuttiness" became inevitable, Alfred said. "We can't ignore the fact that it's one strong statement of 'whiteness' and the failure of these people to confront their past: conquest in regard to natives, the fear of Mexicans, the fear of black people, the failure to confront the legacy of slavery, imperialism with foreigners and Arabs. It's all fear." Pulitzer Prize-winning journalist and former war correspondent Christopher Hedges agrees the tool vs. weapon distinction is a crucial one. "I came out of a hunting culture … [But] my relatives did not fetishize weapons," he said on Ideas. "They were tools. 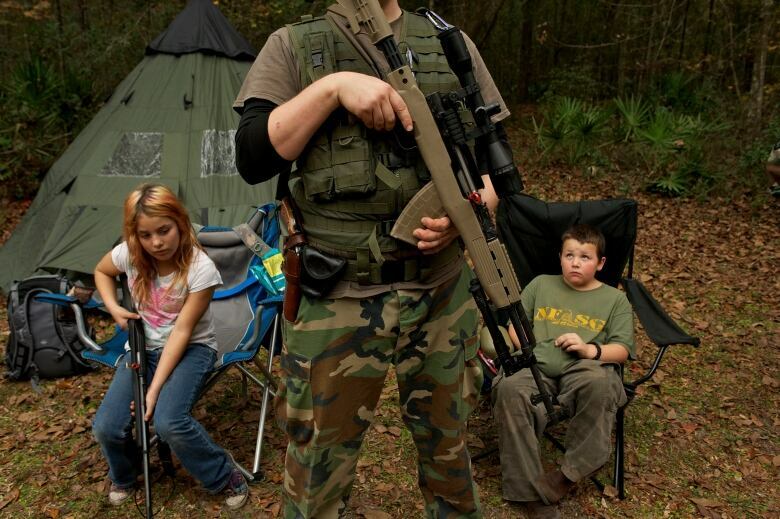 In American culture, the people who fetishize weapons … they are white supremacists, racists, survivalists. And those who fetishize weapons in the United States often have very, very close links to white racist groups, and that's been all the way going back to slave patrols and groups like the KKK. And so that there's a twinning of that peculiar culture and racism." 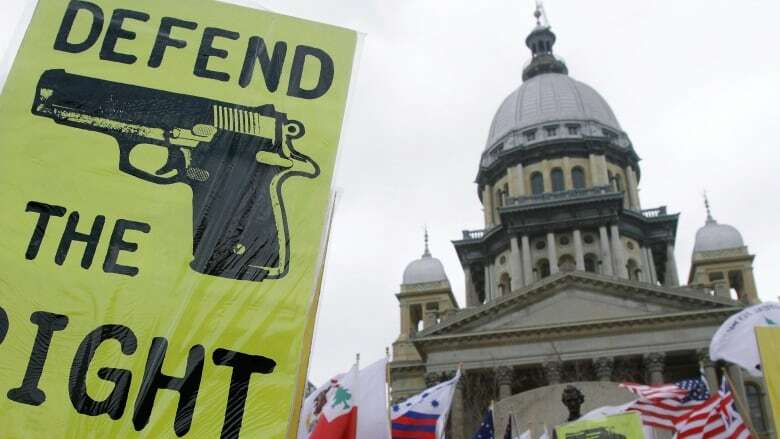 Barack Obama's gun control measures: What are they?